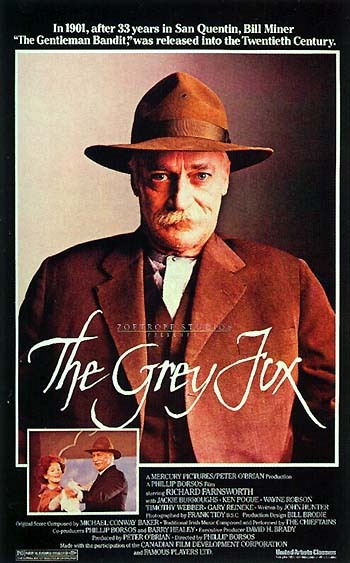 Thinking about my recent posts that touched on the theme of the Old West changing, represented in Butch Cassidy & the Sundance Kid (1970) as well as The Grey Fox (1982), made me think about another movie that begins in those years of transition—Seabiscuit (2003). Back in 1996 magazine journalist Laura Hillenbrand stumbled upon an article that would change her life. Her research became an article, then a best-selling book, and then a wonderful film based on Seabiscuit and the people that were touched by that horse. One of the side benefits of research is what you can stumble upon along the road you thought you were headed down. Serendipity happens in writing, in traveling, and in life. It was the task of screenwriter and director Gary Ross to take Hillenbrand’s research and best-selling book and somehow tell the story in two hours. Themes about hardship and the hope for change and transformation will never go out of style. Perhaps that is not only the history of American cinema, but of the history of civilization. Driving from Minneapolis to Cedar Falls feels like a long commute because the three and a half hour drive literally involves heading south on Interstate 35 and making one turn. It’s a pretty mellow drive. There’s not much worth looking forward to once you’ve made the slight detour to visit the Spam Museum in Austin, Minnesota, the Surf Ballroom in Clear Lake, Iowa (where Buddy Holly played his last concert),and The Music Man Square in Mason City (A museum dedicated to hometown writer Meredith Willson who wrote The Music Man). There are a couple casinos along the way but they personally bore me. I am still fascinated by the hundreds of wind turbines scattered along the way, but my point is you have work a little to break up the drive a little if you take the Interstate. This past weekend I stopped at a discount bookstore and ended up picking up The First Time I Got Paid for It, Writers’ Tales from the Hollywood Trenches. It was edited by Peter Lefcourt and Laura J. Shapiro and has various stories by writers such as Cameron Crowe, Robin Swicord, and Gary Ross telling their stories of making their first bucks from writing. “I was eighteen and an aunt gave me a copy of Mixed Company, a book of his (Irwin Shaw) collected stories. I’d never read a word by him, never heard his name. But I remember the lead story in the book was The Girls in Their Summer Dresses. About a guy who looked at women. It’s good to hear those kind of stories. By the way, the first time I got paid to write anything was when I was a 19-year-old staff writer/photographer for the Sanford Evening Herald and Sam Cook, the sports editor, paid me 10 cents a word (and a little extra for photos). That may not seem like much but those dimes add up, you know? (And it’s more than I’m paid for writing this blog.) And at 19 I also discovered Irwin Shaw’s The Eighty Yard Run. Still dreaming of an Oscar. Update 9/30/09: I tracked Sam Cook down via the internet and found out he is now an award-winning columnist for The News-Press in Fort Myers, Florida where he specializes in stirring up trouble reporting on the local government. I sent him an email and he called me today and we spoke for the first time in a long time.